RSVP for the Grand Opening here. On Friday, March 1st, MakerspaceCT kicked off its final phase of construction in the former G. Fox building on Main Street in Hartford, Connecticut. MakerspaceCT will be the largest makerspace in Connecticut and the 2nd largest in New England. Prospective inventors, manufacturers, entrepreneurs, hobbyists and students across the region will be empowered with access to tools, technology, resources and learning opportunities. Executive Director, Devra Sisitsky, proudly announced that the grand opening will be Saturday, April 13, 2019, the culmination of five years of planning and hard work. “This is the kind of project that takes a lot of people, a lot of energy and a lot of big brains,” said Sisitsky at the gathering of supporters, donors, business leaders and dignitaries. She shared the podium with Hartford Mayor Luke Bronin, Lt. Governor Susan Bysiewicz and Senator Richard Blumenthal. Hartford has worked hard to position itself to be at the forefront of the industrial revolutions that are happening today — most recently in the areas of Insurtech, advanced manufacturing, digital health and social enterprise. As many as fifty to seventy startups from around the world are attracted to the Hartford area each year to participate in accelerators hosted by Startup Bootcamp, Stanley Black and Decker and many others. MakerspaceCT will offer a range of courses, and will collaborate with local colleges and schools. Courses will enable students, entrepreneurs, women, innovators and anyone interested in learning and using tools for developing prototypes and innovations the opportunity to use on-site equipment and materials, working with on-site professionals. Susan Bysiewicz echoed the excitement about the potential for economic development and education. When MakerspaceCT opens in April, it will provide access to tools and technology for local inventors, innovators, manufacturers, entrepreneurs, hobbyists, and students. It is a springboard for innovation, and a new way to boost careers and interest in traditional and advanced manufacturing, technology, hardware development and preparation to function in Industry 4.0. At MakerspaceCT, instructors will provide introductory classes on subjects including Arduino Microcontroller, Raspberry Pi, 3D Printing and 3D Scanning. Some have already been offered, even in advance of the formal opening of the facility. CTNext/Innovation Places provided a grant in 2018 that supported scholarships for Connecticut residents to take free maker workshops led by skilled professionals. Already, more than 120 individuals have been thru courses or are scheduled to complete courses this year. To Celebrate the Grand Opening, MakerspaceCT will hold a Community Day from 10:30am – 4pm on Saturday, April 13th. MetroHartford Alliance’s Nan Price was gracious enough to include our executive director, Devra Sisitsky, in her article on Industry 4.0 and the leading role that Hartford is taking to capitalize on emerging technologies. “Connecticut, and specifically Hartford, have a rich history and tradition as home to some of the world’s most innovative and successful manufacturing companies. This is something we take great pride in and is a major factor in putting us on the map as a global market,” says MetroHartford Alliance President and CEO David Griggs. Industry 4.0 also creates new opportunities in additive manufacturing, explains Devra Sisitsky, Executive Director and Founder MakerspaceCT. “Additive manufacturing is going to revolutionize every aspect of our lives from artist to resident to manufacturer,” she says. “Looking back, we never thought we would have computers or printers in our homes—or we would ever learn word processing software. Looking forward, we know we’ll have 3D printers in our homes, and we’ll have to learn CAD/CAM software. If our salad tongs break, we’ll be able to put it in a 3D scanner, tweak the design, and then print out a new pair. People don’t understand that this is now. It’s not way in the future,” says Devra. MakerspaceCT will also play an important role for those looking to become involved with Industry 4.0—as a hobby or a potential business. The Hartford-based workspace provides information and access to tools and technology for local inventors, innovators, manufacturers, entrepreneurs, hobbyists, and students. “With our on-site tools and resources, MakerspaceCT can assist people creating a business related to additive manufacturing or IoT,” explains Sisitsky. The January issue of Hartford Magazine is celebrating the leaders who bring new business opportunities to Hartford and support the region’s entrepreneurial culture. Episode 11 of the InnovateCT Podcast focused on the Makerspace movement with Devra Sisitsky of MakerspaceCT. Devra is the driving force and founder of the new makerspace being built in downtown Hartford and scheduled to open Winter 2019! Learn more by listening and following the link below. To learn more about the InnovateCT podcast and to listen online, click here. Hartford, CT — McEIVR, Inc./MakerspaceCT is proud to announce the appointment of Dave S. Christensen, Partner and Additive Manufacturing Practice Group Chair at Cantor Colburn LLP, the fourth largest patent law firm in the country, to its Board of Directors and Legacy. “We are honored to have Dave join our board and Legacy Council,” said Devra Sisitsky, founder and executive director of McEIVR, Inc., a 501(c)3 non-profit that is launching MakerspaceCT in 2019. 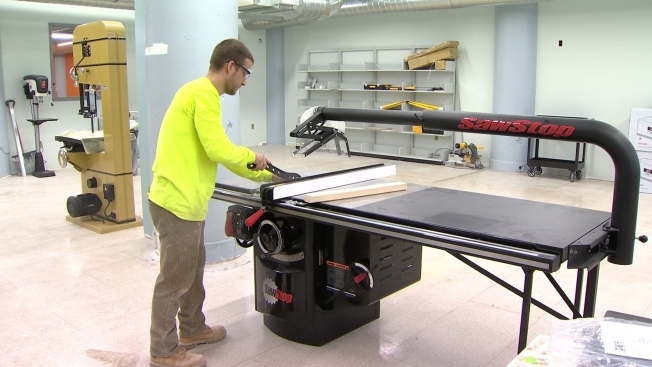 The 20,000+ sf facility, located in the historic G. Fox Building at 960 Main Street in Hartford, will be Connecticut’s largest makerspace open to the public as a community resource. MakerspaceCT will offer education, tools, workspace and mentorship for manufacturing, technological innovation, DIY activities and artistic projects. “Dave brings value to our organization with his perspective as a mechanical engineer and intellectual property attorney,” said Sisitsky. “The inventors and entrepreneurs we will be serving at MakerspaceCT will benefit from his experience as a patent holder. Protecting intellectual property is an important consideration in these activities, and Dave’s legal experience will be of great value to our members.” Additionally, Mr. Christensen’s presence on the Board and Legacy Council is part of the progressive collaboration between McEIVR, Inc. and Cantor Colburn LLP. 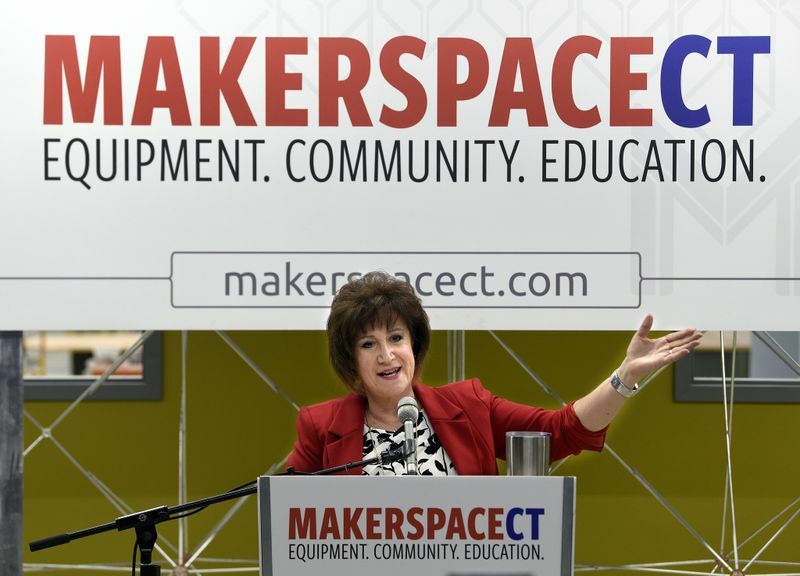 The Legacy Council was created to help McEIVR Inc. sustain a legacy of innovation in Connecticut by assisting in developing strategies for the fiscal sustainability of MakerspaceCT. They provide in-kind services to McEIVR, Inc.including promoting and providing introductions to supporters, customers, investors, foundations, individuals, and corporations. At Cantor Colburn, Mr. Christensen focuses his practice on assisting clients in protecting their inventions in both U.S. and foreign patent offices in a variety of technical fields, including automotive, electrical power distribution and transmission, renewable energy, and optical measurement systems. He counsels startup to medium sized clients in preparing their portfolios for investment financing and associated due diligence activities and he assists all clients in developing cost effective strategies for building and managing their IP portfolios. Cantor Colburn’s Additive Manufacturing Practice was one of the first in the country, and as its chair, Mr. Christensen leads a team of attorneys experienced in protecting IP rights in innovative additive manufacturing technologies, like 3D printing. This is important because the relative ease of 3D printing makes client innovations especially vulnerable to counterfeiting. The team has assisted companies of all sizes, as well as university technology transfer offices and government research institutions the strategic guidance they need to compete successfully in an evolving market and realize all the opportunities afforded by their IP properties. Before beginning his career as an IP attorney, Mr. Christensen was as an engineer and gained hands-on experience in additive technologies such as 3D printing, manufacturing and product design. He holds a B.S. in mechanical engineering from the University of Hartford and an M.S. in mechanical engineering from Rensselaer Polytechnic Institute, and a J.D. from Concord Law School. He is a guest lecturer at the Western New England University and the University of Connecticut School of Law. Cantor Colburn LLP is one of the largest full-service IP law firms in the country, with more than 100 attorneys and agents providing counsel to clients around the globe from offices in Hartford, Washington, D.C., Atlanta, Houston and Detroit. Exceptionally well-versed in a wide range of cutting-edge technologies, the firm’s clients work in a broad spectrum of industries, including chemical, life sciences, pharmaceutical, medical devices, manufacturing, consumer products, energy, software, telecommunications, entertainment, and more. Recent rankings include #4 for U.S. Utility Patents (IP Watchdog), #3 for U.S. Design Patent (Ant-like Persistence), #8 for U.S. Trademark Registrations (Ant-like Persistence), Fastest Growing U.S. Patent Law Firm (Juristat) and Top 100 Law Firms for Minority Attorneys (Law360). McEIVR, Inc. is the 501(c)3 non-profit launching MakerspaceCT, a community resource, open to the public, offering classes for all types of equipment and tools needed to make or manufacture prototypes, cosplay, hobbyist or artistic projects. The 20,000+ sf facility will be a springboard for innovation and a new way to boost career interest in manufacturing, technology, and hardware development. In addition, the movement is sparking renewed interest for both students and adults in critical STEAM learning (science, technology, engineering, arts, math).The demand for our diverse program has been spurred by strong, recent growth in small business manufacturing, technological innovation, and DIY activities in communities across the United States. Mark Mathias, founder of Remarkable STEAM and Maker Faire Westport. This past weekend, the Connecticut Science Center hosted 1,500 guests from around the world for the annual conference of the Association of Science-Technology Centers. The meeting, which attracted attendees from as far away as China, was a showcase of the latest technology and education trends and a chance to learn from keynote speakers, such as renowned science journalist Ed Yong. Representatives from MakerspaceCT were fortunate to take part in the opening Leadership Reception on Friday night, which featured Gov. Dannel Malloy, Connecticut Science Center President Matt Fleury, and Sudhi Bangalore, director of Stanley Black & Decker’s Manufactory in Downtown Hartford. While the conference highlighted the benefits of technology, the organizers also made sure to show how low-tech, old-school approaches are still viable today. The exhibit hall also included a large, pop-up makerspace. “It was great to see the science centers and science teachers understand the value the maker movement and that they are looking to collaborate with makerspaces.” said Devra Sisitky, MakerspaceCT’s executive director. The event continued through Sunday, offering a global community of STEM educators an environment in which they could forge partnerships with like-minded people and institutions. MakerspaceCT executive director Devra Sisitsky promoted Hartford Revitalization and gave a sneak peek of what’s in store at our 20,000+ space at two recent events. Last week, we gave librarians (and fellow makers) from across the state a sneak peek at the buildout of our 20,000+ square foot space. All were impressed and excited about what we have in store. Today we toured the future @makerspacect on Main Street in Hartford. It is a 20,000 sf space for makers of all sorts, and will include equipment such as 3D printers and laser engravers and much, much more. We were impressed and are looking forward to what is to come. Innovators welcome! Changes are happening in Hartford, you can see them throughout the City! And now with MakerspaceCT moving into the old G. Fox building and joining the Hartford community, there will be even more changes happening to the buildings themselves. MakerspaceCT executive director Devra Sisitsky joined Jamie Brätt, Deputy Director of Development Services for the City of Hartford, for a presentation to the group on the many revitalization efforts happening in Hartford. Our own John Harris was also on-hand to demo one of our 3D printers. Greater Hartford Mini-Maker Faire 2018 was an out-of-this world event. And MakerspaceCT had BLAST (literally)! Volunteers from MakerspaceCT and Stanley Black & Decker hosted enthusiastic young attendees for the Air Rocket Challenge. We had four tables for making the rockets, lined up with kids of all ages and their families helping each other and cheering each other on. Stanley Black & Decker provided Stanley and DeWalt tools for assembly of the rockets. MakerspaceCT also devoted one table to a 3D printing demonstration. The parents and other adults in attendance were just as engaged as the boys and girls. You could see the eagerness and joy in the eyes of both kids and adults, as they had the chance to launch their rockets over and over. Everyone went home with smiles on their faces with the rockets they built. We look forward to participating again next year. Special thanks to CBIA for putting on the event and to Connecticut’s Old State House for providing the perfect venue. MakerspaceCT is a program of McEIVR, Inc., a 501(c)3 nonprofit. HARTFORD AND EAST HARTFORD, CONN (June 7, 2017) – The communities of Hartford and East Hartford, led by The Hartford/East Hartford Innovation Places Planning Team, have been selected as an Innovation Place, announced yesterday afternoon by the CTNext Board of Directors. The Hartford/East Hartford Initiative will receive up to $2 million in Implementation Grant funds in fiscal year 2018 to begin implementing the team’s vision for making Hartford and East Hartford a hub for innovation, entrepreneurship, and business growth. The selection of The Hartford/East Hartford Initiative concludes a process that began last summer and culminated last month with a site visit and pitch. Innovation Places is a CTNext-run program created to help the state’s communities become centers for entrepreneurship and innovation, magnets for talent, and launching points for growth-stage companies. The program will distribute $6.9 million in fiscal year 2018 to selected Innovation Places communities to support implementation of their strategic plans. Senator John Fonfara (D-Hartford), who was instrumental in designing a comprehensive law to help Connecticut embrace the innovation economy, joined other leaders in applauding the decision by CTNext to invest in the Hartford area. “I’d like to congratulate the core team that made this happen, in particular Michelle Cote of the Connecticut Center for Entrepreneurship and Innovation,” Sen. Fonfara said. A summary of The Hartford/E. Hartford Initiative’s proposal and application is available on the CTNext website at http://ctnext.com/innovation-places/. For more information, please contact Michelle Cote, at michelle.cote@uconn.edu. The Hartford/East Hartford Innovation Places Planning Team includes leaders from the following organizations: UConn, Goodwin College, Trinity College, University of Hartford, Metro Hartford Alliance, Travelers, The Hartford, Phoenix, Hanover Group, CIGNA, XL Catlin, Connecticut Center for Advanced Technology, Hartford Healthcare, Connecticut Children’s Medical Center, City of Hartford, Town of East Hartford, reSET, Connecticut Small Business Development Center, Upward Hartford, MakerspaceCT and several entrepreneurs. Each of these community stakeholders will play a role in the execution of the group’s strategy, and in making Hartford and East Hartford visible centers of entrepreneurship and innovation. CTNext is Connecticut’s go-to resource for entrepreneurial support. The goal of the program is to build a more robust community of entrepreneurs and to accelerate startup growth by providing access to talent, space, industry expertise, services, skill development and capital to foster innovation and create jobs for people in Connecticut. CTNext launched in 2012 and has more than 1,700 members in its network. Visit www.ctnext.com for more information. The headquarters for the Maker Movement in Connecticut. Our Grand Opening is April 13, 2019! Our mission is to positively impact lives by enabling access, innovation, and education. Location: 960 Main Street, Hartford, CT.